For the purpose of this subchapter, elected state officials and members of commissions, boards, or other governing bodies of agencies are officers of the State of Arkansas. 21-9-202. Jurisdiction of Arkansas State Claims Commission. (a) The Arkansas State Claims Commission shall have jurisdiction over all claims for indemnification based on a judgment or negotiated settlement in conformity with § 21-9-203. (b) Proceedings for the recovery of claims and the payment of claims shall be governed by the law governing proceedings before the commission and payment of claims allowed by the commission. 21-9-203. Authority to pay damages -- Conflict of interest. (a) The State of Arkansas shall pay actual, but not punitive, damages adjudged by a state or federal court, or entered by such a court as a result of a compromise settlement approved and recommended by the Attorney General, against officers or employees of the State of Arkansas, or against the estate of such an officer or employee, based on an act or omission by the officer or employee while acting without malice and in good faith within the course and scope of his or her employment and in the performance of his or her official duties. (1)(A) When it has been determined by the Attorney General's office that a conflict of interest for the civil litigation division or any division of the Attorney General's office exists and that therefore the Attorney General's office must decline representation of the officer or employee, the state agency for which the officer or employee is employed is authorized to enter into a contract to hire special counsel to represent the officer or employee under the same conditions that are set out under the provisions of this subchapter and § 21-9-304. (B) The agency will be responsible for the payment of the contract with funds from its maintenance and general operation accounts. (2) When situations arise in which the Attorney General feels that a conflict of interest exists and therefore must decline representation of the officer or employee, the Attorney General shall prepare a report that he or she shall submit to the House Interim Committee on Judiciary and Senate Interim Committee on Judiciary, in which he or she shall recite the reasons for the conflict of interest and the reasons his or her office declined representation. (c) Upon the recommendation of the Attorney General, the State of Arkansas shall have authority to pay damages based on an act or omission by an officer or employee of the State of Arkansas while acting without malice and in good faith within the course and scope of his or her employment and in the performance of his or her official duties, where the amount of damages is determined by negotiated settlement before or after an action has been commenced. 21-9-204. Effect of employee insurance. Damages payable under this subchapter shall be reduced to the extent that the officer or employee has been indemnified or is entitled to indemnification under any contract of insurance. 21-9-205. Procedure for making claims. (a) A party desiring to make a claim for indemnification under this subchapter shall notify the Attorney General of the filing of a complaint in any court or the making of any other form of demand for damages promptly after it is filed or made and permit the Attorney General to participate in all trial or settlement negotiations or proceedings regarding the complaint or demand. (b) Compliance with all requirements of this section shall be prerequisite to payment of any claim under this subchapter. (c) Nothing in this section shall be construed to deny any party desiring to make a claim under this subchapter from employing legal counsel of his or her choosing to defend any lawsuit or other demand for damages. 21-9-301. Tort liability -- Immunity declared. (a) It is declared to be the public policy of the State of Arkansas that all counties, municipal corporations, school districts, special improvement districts, and all other political subdivisions of the state and any of their boards, commissions, agencies, authorities, or other governing bodies shall be immune from liability and from suit for damages except to the extent that they may be covered by liability insurance. (b) No tort action shall lie against any such political subdivision because of the acts of its agents and employees. 21-9-302. 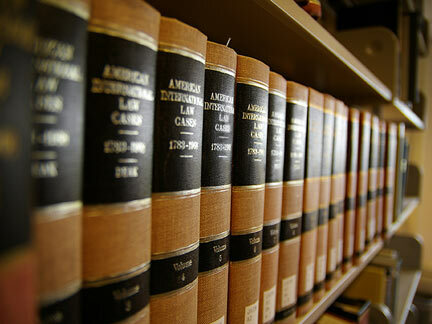 Tort liability -- Settlement of claims. Each county, municipal corporation, school district, special improvement district, or any other political subdivision of the state is authorized to provide for hearing and settling tort claims against it. 21-9-303. Motor vehicle liability insurance required -- Minimum amounts. (a) All political subdivisions shall carry liability insurance on their motor vehicles or shall become self-insurers, individually or collectively, for their vehicles, or both, in the minimum amounts prescribed in the Motor Vehicle Safety Responsibility Act, § 27-19-101 et seq. (b) The combined maximum liability of local government employees, volunteers, and the local government employer in any action involving the use of a motor vehicle within the scope of their employment shall be the minimum amounts prescribed in the Motor Vehicle Safety Responsibility Act, § 27-19-101 et seq., unless the political subdivision has purchased insurance coverage or participates in a self-insurance pool providing for an amount of coverage in excess of the minimum amounts prescribed in the Motor Vehicle Safety Responsibility Act, § 27-19-101 et seq., in which event the maximum liability of the insurer or pool shall be the limits of the coverage provided for in the policy or agreement. (1) Any person who suffers injury or damage to person or property caused by a motor vehicle operated by an employee, agent, or volunteer of a local government covered by this section shall have a direct cause of action against the insurer if insured, or the governmental entity if uninsured, or the trustee or chief administrative officer of any self-insured or self-insurance pool. (2) Any judgment against a trustee or administrator of a self-insurance pool shall be paid from pool assets up to the maximum limit of liability as provided in this section. 21-9-304. Indemnification by state for certain actions. (a) When any city of the first class, city of the second class, incorporated town, county, and its employees are called upon to assist the state and its employees and, as a result, are sued for their actions performed under the supervision of a state official or employee, the Attorney General shall defend the city of the first class, city of the second class, incorporated town, county, and its employees. (b) Should a judgment be rendered against the city of the first class, city of the second class, incorporated town, county, or its employees, the state shall pay actual, but not punitive, damages adjudged by a state or federal court, or entered by the court as a result of a compromise settlement approved and recommended by the Attorney General, based on an act or omission by the officer or employee while acting without malice and in good faith within the course and scope of his or her employment and in performance of his or her official duties. (1) When cities of the first class, cities of the second class, incorporated towns, counties, and their employees are covered by any contract of insurance providing for legal defense, the cities of the first class, cities of the second class, incorporated towns, counties, their employees, and their insurers are not entitled to legal defense by the Attorney General. (2) Any judgment rendered against the cities of the first class, cities of the second class, incorporated towns, counties, their employees, or their insurers shall be paid by the state only to the extent that the judgment amount exceeds the limits of liability established in the contract of insurance. For information on the Federal Tort Claims Act, click here. If you would like an overview of Government Liability law, please click here. For a FREE INITIAL CONSULTATION, call one of the qualified Pulaski County personal injury lawyers listed on this site today.